The Berkman Center for Internet & Society at Harvard University today announced the fellows, faculty associates, and affiliates who will formally join its community in the 2015-2016 academic year, continuing a tradition of providing a home for some of the most incisive minds in law, technology, and social science, alongside path-breaking entrepreneurs and activists. The class of fellows will primarily work in Cambridge, Massachusetts, alongside Berkman faculty and staff in a vibrant research community. Honoring the networked ethos central to Berkman, faculty associates and affiliates from institutions the world over will actively participate as well. 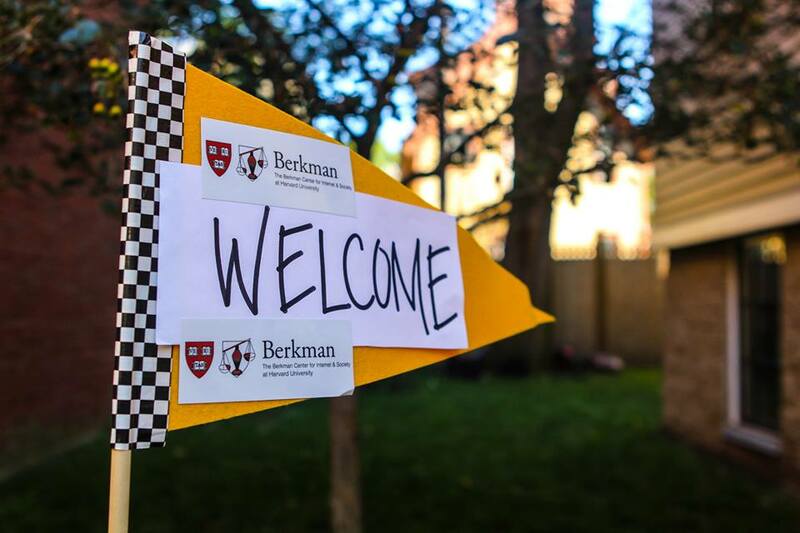 These relationships, as well as the countless fruitful engagements with alumni, partners, students, interns, and other colleagues, are fundamental to the Berkman Center’s work and identity, and serve to increase the capacity of the field and generate opportunities for lasting impact. Olivier Alais is an independent Information and Communications Technology (ICT) consultant advising a number of developing country governments on technology issues. He will focus on government’s transparency and efficiency through the design and implementation of ICT policies. Virgilio Almeida is a Professor of Computer Science at the Federal University of Minas Gerais, Brazil and the Brazilian Secretary for Information Technology Policies. He will focus on understanding the relationship of citizens and society in cyberspace, in particular exploring the possibilities of governance policies for cyber-physical systems and the behavior of proprietary algorithms with social and public impact. Griffin Boyce is a Senior Censorship Researcher at the Open Internet Tools Project and fellow at The X-Lab focusing on usability and accessibility. He aims to improve outcomes for those facing state censorship through his project Satori, a suite of tools and guides that makes it easy for average users to download and verify security software. Maria Paz Canales is a Chilean antitrust lawyer and UC Berkeley Master of Laws with a Certificate of Specialization in Law & Technology. She will research and analyze the design of regulations and technologies that break traditional cultural industries online and create new markets and models in which creators and users may exercise digital freedoms. Charlie Ruth Castro is an entrepreneur, speaker, and Colombian lawyer with experience in digital communities supporting entrepreneurship in Latin America. She will study the causes and effects of material inequality in digital education for children, and the gender gap in science, technology and innovation in her region, and will contribute to Berkman’s Youth and Media project and the ongoing work of Digitally Connected. Rebecca Richman Cohen is a documentary filmmaker and lecturer at Harvard Law School. She will work on pedagogical approaches to train aspiring public interest lawyers to integrate visual media effectively in their legal practice. Shannon Dosemagen is the Co-founder/Executive Director of Public Lab and an Ashoka fellow. She will focus on building online advocacy communities through creating a framework for standards and best practices in participatory environmental monitoring. Shahira H. Fahmy is the founder of Shahira Fahmy Architects – Cairo and will be a 2015-2016 Hutchins Fellow with the W. E. B. Du Bois Research Institute at the Hutchins Center for African & African American Research. She will develop a project called ‘Subcontracting Architecture’ to examine architecture as both an agent and a sensor; a threat to citizens' rights, transparency, and democracy in a society; and an evidence to call upon for legal and political implications of state violence. Mary L. Gray is a Senior Researcher at Microsoft Research New England and an Associate Professor in the Media School at Indiana University. She will draw together workers, makers, researchers, and entrepreneurs for a series of summits to map out how crowd-based economies—from online editorial work and administrative assistance to platform-driven home healthcare services—could better foster equitable forms of digital labor that recognize and value worker participation and collaboration. Jason Griffey is a librarian, technologist, and founder/principal at Evenly Distributed. He will explore communities' engagement with open, inexpensive hyperlocal digital networks, with special emphasis on bridging inequality of information access. Eldar Haber is a fellow at the Haifa Center for Law & Technology and the Cyber Forum at Haifa University. He will research the various ramifications of the so-called ‘right to be forgotten,’ examine whether such a “civil rehabilitation right” could coexist with free speech and freedom of information, and consider whether it is desirable for society. Samer Hassan is an activist and Assistant Professor at Universidad Complutense de Madrid. He will focus on interdisciplinary research around distributed systems that may facilitate the sustainability of commons-based peer production communities. Dariusz Jemielniak is a Professor of Management at Kozminski University and a Wikimedia activist. He will work on the notion of sharing in everyday life, through studying de-commercializing media and data practices and ideologies of free data activists, students, and pirates. Leyla Keser is the Director of IT Law Institute at ?stanbul Bilgi University. She will analyze the economic impacts of the ‘right to be forgotten’ on Internet economy and on multistakeholder Internet governance in light of big data and data driven innovation. Damon Krukowski is a writer and musician. He will research and write a book on the cultural implications of the switch from analog to digital sound. Chao-Yin Kuo is a Public Prosecutor in the Taipei District Prosecutor's Office of the Ministry of Justice in Taiwan. She will research trade secret issues regarding cybercrimes to improve investigations and correlative regulations. William Li is a Ph.D. candidate at the MIT Computer Science and Artificial Intelligence Laboratory (CSAIL). He will develop and apply methods from data science, text mining, and natural language processing to find insights and patterns in large open government datasets. Andres Lombana Bermudez is a recent Ph.D. in Media Studies from the University of Texas at Austin and a researcher with the Connected Learning Research Network. He will join the Youth and Media team to support ongoing educational efforts, collaborate on global and Latin American initiatives such as Digitally Connected, and research digital equity with a focus on Latino/Hispanic youth and families. Patrick Murck is a lawyer and expert in blockchain-based technologies and smart contracts. He will conduct research into the law and policy implications of bitcoin and distributed ledgers and will support the exploration of these new areas of study. Laurie Penny is an author and journalist from London. She will write and speak about social justice, digital rights, technology, and culture. Ricarose Roque is a Ph.D. candidate at the MIT Media Lab with the Lifelong Kindergarten research group. She will investigate the role of family and community in young people’s development of computational fluency, and explore the design of creative learning environments to support broader participation in computing -- for example, contributing to the Coding for All project. Niousha Roshani is a Ph.D. candidate at the UCL Institute of Education and the founder of the Nukanti Foundation. She will investigate the discourse of media and young people of African descent in Colombia and Brazil from a political, social, and economic perspective. Brittany Seymour is an Assistant Professor of Oral Health Policy and Epidemiology at Harvard School of Dental Medicine with a research focus in interdisciplinary collaborations for health through innovative information dissemination and curriculum development. She will explore online health information/misinformation and patient behaviors in the context of networked media theory and social network analysis. Lana Swartz is a Ph.D. candidate at USC Annenberg School for Communication and Journalism. She will study the social meaning and political consequences of money and other payment systems. Fungai Tichawangana is the Managing Editor of Zimbo Jam, Zimbabwe’s leading arts and culture website, and the founder of the online content company, Exist Digital. He will study digital storytelling techniques, the development of interactive media, and online security, and is the 2015-2016 Nieman-Berkman Fellow in Journalism Innovation. Effy Vayena is a Professor of Health Policy at the University of Zurich, Switzerland. She will work on developing participatory governance models for health data initiatives and how such personal health data initiatives can be organized as a data cooperatives. Berkman remains proud of and grateful to the following returning community members who will retain affiliations at Berkman in the coming year. Since its founding in 1997, the Berkman Center has been at the forefront of the field of Internet and Society, pursuing a unique mix of interdisciplinary scholarship and engagement with legal and policy issues. We are home to a diverse group of scholars, policy experts, and advocates focused on the identification of emerging problems related to digitally-networked society and the search for solutions. Our community shares a commitment to tackle the most important challenges of the digital age, to think big, to act with ambition and humility, and to maintain academic rigor while keeping a focus on tangible real-world impact. As a University-wide Center, the Berkman Center informs and engages in the public interest through four core activities: conducting research, building tools and platforms, education, and creating and cultivating networks. More information can be found at http://cyber.harvard.edu.